Sources within the corridors of power say P-Noy was rather cool to impeaching CJ Corona at first, especially since Justice del Castillo, who faces a slumbering impeachment in the House, has been ‘behaving well;’ but what triggered P-Noy’s impeach move vs. Corona appears to be SC’s unanimous decision ordering re-distribution of Hacienda Luisita to the farmers. A Happy New Year to all my readers. The year we bring to a close has been, as a political pundit put it, annus horribilis---a most terrible year visited by political storms not seen in three decades, economic slowdown, increasing percentage of self-rated poor, and natural calamities that devastated many regions of the country, the most recent being Sendong, which left thousands dead and many other thousands homeless. But despite the fact that 2012 does not look bright, as the nation could face more political storms, our Christian attitude is to hope in God’s Providence and blessings, even as we rely on our inner strength and resilience as a people. A Palace insider recently recounted to the media the events that led to the impeachment move of President Aquino against Chief Justice Renato Corona, as directed to the obedient House leaders. Interestingly, around mid-October, as the nation keenly anticipated the Pacquiao-Marquez fight, senior House leaders who met with President Aquino in the Palace at that time were quite surprised to realize that he was actually not interested in getting Corona impeached. 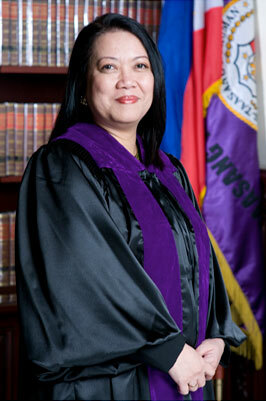 At that time the impeachment case against SC Associate Justice Mariano del Castillo was slumbering quietly in the House justice committee, and P-Noy, according to insiders, felt that Del Castillo had been “mabait naman” in his behavior (in fact, he stayed abroad for a while, perhaps to keep out of controversy), mukhang okay naman ang Supreme Court. P-Noy apparently realized that it was no joke to impeach the CJ as there were constitutional issues involved. But then, suddenly, by late November things changed. In a meeting with Speaker Sonny Belmonte and Majority Leader Boyet Gonzales, P-Noy, reportedly bristling with anger, was said to have thundered that while he is President, the developments in the SC cannot be allowed to continue. The order now was for Corona to be impeached by the House, and the leaders quickly set it in motion. As a prelude, P-Noy launched two severe attacks on the CJ at the Makati Business Club last Dec. 1 and at the National Criminal Justice Summit at the Manila Hotel on Dec. 5, where the SC was co-host of a seminar-workshop on greater cooperation within the judiciary. 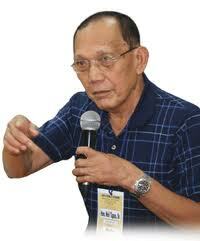 The CJ was personally at the summit's opening, just two feet from where P-Noy was attacking him frontally. What triggered the change of course of P-Noy? It appears that there were two triggers. One was the SC’s TRO on the Department of Justice’s watch-list order on GMA, promulgated last Nov. 15, allowing her and husband Mike Arroyo to leave for her treatment abroad. The TRO order was a vote of 8-5 in the SC, two days later it even became 9-4; but the DOJ defied that TRO and prevented GMA from leaving in an ugly airport scuffle. The Palace got the upper hand there, so I would not count the TRO trigger as serious. To my mind, and a number of political analysts have said this too, the main trigger came last Nov. 22 with the promulgation of the SC decision in Hacienda Luisita, Inc. vs. Presidential Agrarian Reform Council et al. In a vote of 14-1 the SC ordered the distribution of the Hacienda lands owned by P-Noy’s family to the farmer-beneficiaries. Soon after the SC decision on Luisita, reports circulated that some Aquino relatives went ballistic and told off P-Noy, saying that the Hacienda had survived through all the various presidents, why did it have to be under HIS presidency that the SC order should come down? I can see the logic in their argument, but the problem is that since the Cojuangcos acquired the over 6,000 has. estate---the BIGGEST HACIENDA in the entire country---way back in 1958 with funds borrowed from GSIS and foreign banks backed by sovereign Philippine government guarantees, the stipulation was that after ten years, or in 1968, Luisita should be distributed to the farmers tilling the soil there. But through various court maneuvers right in Marcos’ time, strengthened in Cory Aquino’s presidency and up to GMA's administration, the Cojuangcos had eluded the redistribution verdict and made billions selling portions of it to commercial ventures (such as the 80 plus hectares sold late in 2004 to BCDA to become part of SCTEX) or opening up portions themselves in commercial endeavors. 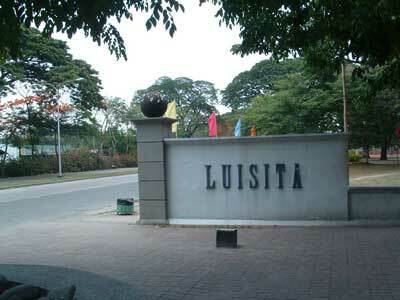 Today over 4,000 hectares of Luisita remain in the Cojuangco family's hands--a priceless jewel of an estate right in the heart of Central Luzon; prospects for its development as a huge industrial estate boggle the mind. But the SC, in a unanimous vote (with only senior Associate Justice Antonio Carpio, now being bruited as a possible replacement for CJ Corona, issuing the sole abstention), decided to re-distribute these over 4,000 has. to the long-suffering farmers of Luisita. And, I suppose, adding insult to injury for the Cojuangcos was that CJ Corona argued forcefully that the family ought to be paid for the land by the farmers at its value in 1989, when the stock distribution option was offered to them by Cory’s administration; whereas, Justice Maylou Sereno, said to be P-Noy's favorite candidate to replace Corona, is batting for 2006 prices, which makes a world of difference. In the meantime that valuation is being debated, Luisita’s farmers have become restive again, just like in 2004, and the recent burning of 300 hectares there is indication. ﻿﻿ The long-festering issue of Luisita has come to a head under the Corona Court, and that’s apparently why the CJ had to be impeached. Unfortunately the impeachment move has brought the constitutional government to near-crisis affecting the separation of powers and the very independence of the judiciary, the last bastion of citizens’ right. The outcome of the Senate trial could leave the country in turmoil. P-Noy himself has been saying over and over that the SC has to be revamped as it has been the "obstacle" to his "reform agenda." But when you come right down to it, behind the sanctimonious and self-righteous claims about ensuring the people's welfare and needed reforms, THE HOUSE IMPEACHMENT APPEARS TO BE REALLY ALL ABOUT LUISITA. This paradox reminds me somewhat of a scene from Bruce Willis’ first movie in his terrorism series, "Die-Hard 1," where his gutsy movie-wife, Holly Genaro, confronted the German leader of the terrorist gang that attacked the Nakatomi Plaza in downtown LA during a Christmas Eve party. The terrorists had held the entire personnel of the Japanese-owned corporation hostage and in demanding an escape route the leader sought to make high-sounding demands, such as the release of this and that principled prisoner or freedom-fighter in various prisons around the world. But in the end Holly realized that what the terrorists were only really after was the huge bundle of bearer bonds in the company’s vaults. Ultimately those bearer bonds just flew out the window all over LA. 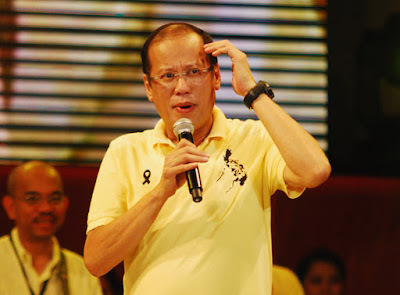 Is P-Noy too over-confident about senators’ votes in the coming Corona trial? Why is he already looking for new CJ and telling VP Binay’s party it has no chance of fielding candidates in P-Noy’s 2013 senatorial coalition? 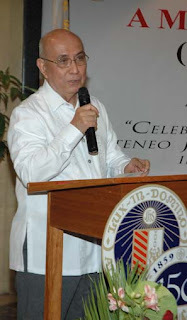 ﻿At the 75th birthday party of former Speaker Jose de Venecia last Monday, Dec. 26, at the Golden Bay Restaurant along Macapagal Avenue in Pasay City, some supporters of President Aquino were unabashed in claiming that P-Noy already has a short list of names for the post of Chief Justice of the Supreme Court. The buzz was that he wants to appoint an outsider, meaning, he’s inclined to disregard the seniority in the Supreme Court. Today, two days after JDV’s birthday bash, this buzz is now all over the newspapers, with Manila Standard headlining it. Presidential spokesperson Edwin Lacierda confirmed that indeed Aquino has asked his legal advisers for a list of possible replacements to SC Chief Renato Corona, although Lacierda admitted that this was just a “contingency measure.” He was further quoted as saying that the President is looking for a new CJ “in the mold of (first Aquino SC appointee Ma. Lourdes) Sereno, who was accused by her colleague, Justice Presbitero Velasco, as leaking confidential behind-the-scenes details of collegial decisions to the press, contrary to a standing SC tradition. In fact the latest rumors are that Sereno would be named CJ in case of a vacancy at the SC. 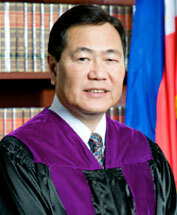 and not the heir-apparent, Senior Justice Antonio Carpio. This is not hard to believe, inasmuch as Sereno, who was said to be unknown to P-Noy prior to her appointment as associate justice, has now become super-close to the Palace. This rumor is making Carpio's brods in the Sigma Rho fraternity of the UP extremely nervous, so that they are said to be moving heaven and earth to turn the tide for their frat brod. My first reaction that night at JDV’s birthday bash to the short-list buzz was, my gosh, isn’t P-Noy so super-confident that his impeachment move against Chief Justice Renato Corona, as filed obediently by the obsequious House, would prosper in the Senate? Obviously at this point, with the trial still to commence later next month, P-Noy’s already not giving the senators any allowance to exercise their brains and their judgment; he seems to expect them to behave like puppets dancing to his tune (again, rumor has it that, as Standard columnist Jojo Robles put it, the Road Board train, laden with road users' tax funds, has lately made stops at the Senate), just like the notorious House 188. The disclosure by Lacierda that P-Noy is already having a CJ list drawn up was immediately protested---and rightly so---by opposition Rep. Simeon Datumanong as “unfair” pressure being exerted on the senators. SC spokesperson Midas Marquez decried the "arrogance" of the President in conditioning the minds of the people to a vacancy in the CJ post, when there clearly is none. At this point prudence and statesmanship should dictate that the President keep his peace on the impeachment process, but as in many previous instances he fails to exercise those virtues. Two institutions ought to be insulted by this Palace move. One is the Senate, whose members, as I have pointed above, are not being given much room by P-Noy for independent judgment in the coming Senate trial. To convict Corona, the vote of 16 senators is needed on even just one of the eight Articles of Impeachment, but they may just feel the weight of insult at this point, in addition to being increasingly super-afraid of the unmistakable presidential drift toward autocratic rule---that they may negate all the articles and acquit Corona. One thing sure, no one can underestimate the independence of the senators who consider themselves independent republics. The other agency insulted by this Palace move is the Judicial and Bar Council, which was created by the Constitution and headed by the Chief Justice to propose to the President a list of appointees to various judiciary posts, beginning with the SC. Lacierda was careful to stress that the JBC is independent and that P-Noy “did not instruct (it to come up with a list for CJ).” But the cat is already out of the bag, and P-Noy, obviously banking on his still relatively high popularity rating kuno, is so confident that he’ll succeed in having CJ Corona convicted by the Senate, that he’s already figuring whom he’ll put in the CJ's place. P-Noy obviously has little patience to wait for the JBC’s recommendations. But history is replete with examples of how hubris is punished and the best-laid plans of mice and men go awry with blunders. There’s the buzz that P-Noy is thinking of appointing as CJ former UP Law Dean Raul Pangalangan, who, to the incredulity of the legal community, has staunchly defended the President’s assaults against the independence of the High Court and the Constitution; the way it’s currently constituted, P-Noy considers the SC the main obstacle to his reform agenda. The problem for Pangalangan or senior Associate Justice Antonio Carpio, who, until the “outsider” line was recently floated by the Palace, seemed the likely choice of P-Noy in the event of a CJ vacancy, is that the President has been quite vocal in attacking CJ Corona as GMA’s lackey in the Court, and therefore he should be impeached. The question is, in the event that the fates should prove unkind to Corona, would not Pangalangan or Carpio bear the onus now of having to be subservient to a power-hungry President who would brook no dissent whatsoever---certainly not from his handpicked CJ? Aside from putting his foot in his mouth on the CJ replacement, P-Noy also made a big miscalculation when he told the nation in a recent TV interview that while candidates from other parties would be carried in the LP senatorial slate for 2013, it would be “difficult” to include bets from VP Jejomar Binay’s PDP-Laban, even if the VP is an administration ally. The timing of that pronouncement is just impolitic: on the eve of the Senate trial, P-Noy is telling PDP-Laban that it has no chance for a coalition in 2013 and it better be on its way. This statement may be his way of ineluctably showing VP Binay that Mar Roxas is his man for 2016, but it’s a very short-sighted move on P-Noy’s part. For at this juncture he needs every vote in the Senate, including those of Sen. Koko Pimentel who’s with PDP-Laban, and Senate President Protempore Jinggoy Estrada who has close links with that party. How do they feel about that Pwera Kayo statement toward PDP-Laban? Has P-Noy simply become too over-confident about the outcome of the Senate trial that he can cast aside a couple of votes there? In addition to P-Noy’s losing the battle of the decade---the Senate impeachment trial---his remark could signal the death-knell of the LP-PDP coalition. Expect the super-ambitious and super-popular VP Binay to chart his own course from hereon. 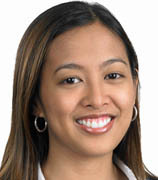 The reader will recall that VP Binay’s daughter, Makati Rep. Abigail Binay, did not vote on the House impeachment move. 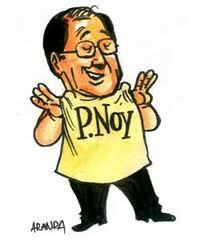 Is P-noy’s PWERA KAYO SA 2013 pronouncement in retaliation for Abigail’s negative vote? Or was she instructed by Dad Jojo not to vote vs. Corona precisely because his possible replacement, Justice Carpio, has ties from way back to the group that had supported Mar Roxas’ unsuccessful VP run in 2010, notably Nonong Cruz of “The Firm”? Should Carpio end up as CJ, he would head the Presidential Electoral Tribunal composed of all the SC justices, before which is STILL PENDING Roxas’ vice-presidential electoral protest vs. Binay. With Carpio at the SC helm or even a “Sereno mold,” Binay could feel quite threatened with losing the VP post. 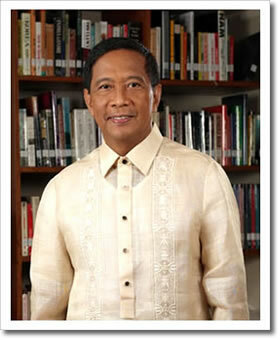 Expect him to secretly support his embattled kababayan from Batangas, CJ Corona. As you folks can see, the impeachment process is truly a political exercise and behind every vote in the Senate one has to discern the political ramifications. I realize that with so many things happening in our country, especially the catastrophe that typhoon Sendong had wreaked in the lives of thousands of our countrymen in Northern Mindanao, and the political storm kicked up by the bullet-train signatures of 188 members of the House of Representatives in impeaching the Chief Justice of the Supreme Court sans verification of the eight-article complaint, plus continuous drizzles and harassing traffic in Metro Manila, things may be far from merry these days. But as a reflection for tonight and tomorrow, Christmas Day, allow me to reprint here a beautiful homily delivered on this same evening exactly a year ago at Xavier School in Greenhills, San Juan. This homily shows us that when we furrow the inner depths of the human spirit, even in warfare, there is something noble and beautiful---that feeling for the love and warmth in a home, that genuine longing for peace---that surfaces even for a fleeting moment. Those beautiful sentiments are a reflection of the image of our Maker who chose to be one of us on a Christmas night over 2,000 years ago. The following homily, titled “”Crossing Lines of Separation,” was delivered by Fr. Johnny C. Go, S.J., president of Xavier School for the past ten years, and it’s the 50th of 50 homilies carefully selected by his friends from so many that he has delivered in various places since 1998, when he was ordained priest in the Society of Jesus. The 50 homilies were incorporated into a book published by Fr. Johnny’s friends in time for his 50th birthday earlier this year. Written in a style almost conversational and easy to read but profound and relevant to our times, the book, called “50mething, Pieces of Prayer and Reflection,” is available at popular bookstores. Sales proceeds will be donated to Xavier’s adopted school for the poor, the Erda Technical and Vocational High School (Erda Tech) in Pandacan, Manila, founded as part of the Erda Group by the legendary 97-year old Jesuit Fr. Pierre Tritz, S.J. Fr. Go serves as chair of Erda (yours truly has been its pro bono PRO since the late ‘70s). I thought that Fr. Johnny's homily is quite apropos not only because it was a Christmas Eve reflection, but also in view of the unilateral ceasefire declared by the government vis-à-vis the NPA for the Christmas season. My prayer is that what became known in history as the informal “Christmas Truce of 1914” between German troops on one side and the British on the other side, during the so-called “trench warfare” era, could be an inspiration for genuine and lasting peace to all Filipinos fighting on either side of the ideological trench. "How would you like to spend Christmas in the trenches? Imagine Christmas Eve for a soldier who's fighting in a war. It's a bitter cold December night. You and your fellow soldiers are out there in the snow, fighting a war in the front lines with your enemies just a few hundred feet away. "Not exactly the best way to spend Christmas!" "But almost a hundred years ago, on this same night in 1914, Christmas Eve, that’s where hundreds of German and British soldiers found themselves. It was the First World War, and in August earlier that year they had signed up to fight for their respective countries. Everyone expected the war to be a short affair, but the war dragged on for over four years. On Christmas eve of 1914, the soldiers of the opposing alliances huddled in the snow-covered, rat-infested trenches, the danger of death constantly hovering over them. "And then something strange, but something true, happened that Christmas eve of 1914 in the Western Front in Flanders, Belgium--an event that came to be known as the Christmas Truce of 1914. It had started to snow, and all across the German line, lights began to appear. At first, the British thought their enemy was preparing to attack that Christmas eve, but to their amazement, they saw that the Germans were positioning not guns, but Christmas trees with lighted candles along their trenches. And soon instead of gunshots, they heard singing: Christmas carols in German! "Hearing 'Silent Night' even in the voice and language of the enemy summoned memories of family and loved ones left behind in faraway lands, and before they knew it, tears welled up in the soldiers’ eyes. "When the Germans finished singing, the British soldiers broke into applause and then responded with their own Christmas carol. As this incredible, spontaneous caroling went on, food was lobbed into the opposing trenches--an unusual Christmas exchange of gifts in the most unconventional of settings. "A little while later, the more curious in the troops poked their heads dangerously out of their trenches, the risk of snipers notwithstanding. Even bolder ones later began to cautiously climb out of their trenches. “Don’t shoot,” a voice shouted from the German side. “We don’t want to fight today! We will send you some beer!” A German officer appeared and walked out into No Man’s Land. A Captain Charles Stockwell from the British army went out to meet him. As the two army officers saluted each other formally, cheering erupted from both trenches. Hence, began the spontaneous and unofficial Christmas Truce of 1914 in the Western Front. "The German soldiers walked over to the British trench, crossing enemy lines, and the British soldiers went out to meet their comrades. The British and German soldiers temporarily ceased all fighting in the very place where for weeks on end before Christmas, savage fighting had killed thousands on both sides. "But for Christmas, just for Christmas, they crossed the line that separated them, socializing with one another, exchanging souvenirs, photographs, and even playing football! They also spent Christmas day honoring the fallen, burying their dead, and reciting together the 23rd Psalm. "The next day, December the 26th, the British captain fired three shots in the air while his soldiers raised a white flag that said “Merry Christmas.” The Germans responded by waving a sheet of paper where they had written “Thank you!” Then the German captain fired two shots in the air, and he saluted the British captain. They bowed to each other, and the war was on again. "For me, this dramatic true story isn’t just about homesick German and British soldiers who decided to celebrate Christmas in this most unconventional setting. It demonstrates to us how Christmas can bring peace and friendship even in the unlikeliest places--if only we let its spirit touch us. But even more fundamental than all that, the moving story of the Christmas truce of 1914, for me, captures the true meaning of Christmas. "What the Germans and the British did that Christmas eve is a powerful symbol of what God Himself did on the very first Christmas. When God decided to become human like the rest of us, He crossed the line that separated us from the divine. It was totally unthinkable, but through Christmas, God crossed that line in order to become like us. And when God appeared in our midst as a vulnerable infant, it was clear that God had also disarmed Himself. "In this unprecedented act of self-disarmament, God lay down His infinite powers and crossed the line, so that there would be no more division between the human and the divine. "Let’s think about this great mystery as we gaze upon the Infant. Perhaps this night, the Lord asks us to do the same, to do nothing less than He has done. "Could it be that He is asking us to think about our relationships and tonight, just for tonight, to dare to cross a line of separation in our lives--a line that we may have been dreading to cross for some time, a line that separates us from other people? Enemies perhaps, people who have hurt us or offended us in the past, and for this reason, people whom we have been unable to forgive? Or even tougher for us, to cross a line that separates us from people dear to us who have also, for whatever reason, grown estranged from us? "This Christmas, the Lord might just be waiting for us to cross that line so that we will no longer be separated from them, whoever they may be. "Perhaps tonight, just for tonight, the Lord is inviting us to put down our guard, disarm ourselves like the soldiers of the First World War, lay down our arms, set aside our hurts, our anger, our pride, and cross that line of separation... Who knows what Christmas miracles can happen? "There's a great dramatization of the Christmas True of 1914, a clip from a French-made film called 'Merry Christmas." We have German, Scottish and French soldiers in their respective trenches. The French are bewildered when they see the Christmas trees along the German trenches. Then a German soldier sings 'Silent Night.' To their amazement, a bagpiper from the Scottish troops decides to provide accompaniment. That one little gesture leads incredibly to unexpected self-disarmaments and crossing of lines. "May the Lord of Christmas grant each of us the grace, the courage, and the love to disarm ourselves as He has done so that we can cross the lines we need to cross." The remarks by actress Valerie Conception posted on Twitter about how President Aquino enjoyed the jokes she cracked and her performance at the “PSG Night” in the Malacanang premises must have been made with complete innocence on her part. Her post read: “Done w/ work. Tnx for having me…:) It was nice to see Pres. P-Noy laughing at my jokes and enjoying my performance…u#Malacanang#PSG Night.” But apparently Valerie’s innocent remarks drew all kinds of sarcastic reactions from P-Noy’s critics who blasted how he partied while Cagayan de Oro and Iligan City were deep in mourning for scores of dead and missing citizens, that she quickly withdrew them from the internet. Sometimes a single mistake like that could cost a leader tremendous political capital. Personally I don’t think there was any malice on P-Noy’s part about dropping in on his security men’s Christmas party, but perhaps it was unthinking of him and his advisers should have counseled him on what to do. A case of lack of sensitivity and sense of urgency, which translates into poor judgment, rather than outright malice. What P-Noy should have done was to take his dinner quickly at the party, give a brief Christmas message highlighting the tragedy in Northern Mindanao and quickly leave to monitor the situation down south. P-Noy has been truly short of quick and urgent responses to tragedy and human misery, as shown by similar situations of socializing while calamities raged in the past, such as during typhoon Basyang, and how can we forget, eating yummy Chinese delicacies while the Luneta fiasco raged. Contrast P-Noy's laid back style of responding to calamities to Vice President Jejomar Binay’s response, which was to fly down to CDO last Saturday, just hours after the tragic floods brought death to sleeping residents like a thief in the night. Binay came with two trucks of relief goods in tow and his fast response was doubtless the fruit of long years of local administration, whereas P-Noy was brought up apparently with little responsibility. It shows painfully. “You have probably read, saw on TV, received in the internet and in text and cell phone calls about the vicious floods and buhawi (tornado) that pummeled Cagayan de Oro and Iligan early Saturday morning. Since 10 o’clock last Sa turday morning, bodies were being brought to our morgue and over the weekend we had serviced around forty (40) victims and our people have been working round the clock up to this morning, to take care of the bodies even without power and water. We serviced indigent families for free and gave them free caskets for their victim relatives. “After going around the city last Saturday, I feared that there could be at least a thousand more, even entire families, missing, buried in the thick mud or swept out to the sea. Many of these victims were children and babies! Out of the estimated 400 known or found dead in CDO, less than 200 would be given a decent burial. The rest, unidentified and unclaimed, would probably be buried in a mass grave by the government. I lost one employee and several of our employees suffered destruction of their houses beyond repair. “But let us not talk about the dead now. Somehow, they will be taken care of one way or the other. I refer now to the thousands out there in villages and barangays who managed to survive by clinging to trees, but whose houses and earthly belongings were all swept away by the rampaging waters and swirling tornadoes, destroyed and buried in the mud. As I write this, practically all of Cagayan is still without water, and some parts are still without electricity. There are speculations that regular water supply may not be available within 30 days. Meanwhile, these people, even those who have dead or missing family members, relatives or friends, are in refugee centers, in the sidewalks or even in their villages making do with whatever they can salvage, maybe a torn roof sheet--- just to survive the hot day and the cold night, again without food and water. “The Rotary Club of Cagayan de Oro has mobilized to reach out to these poor people. These people are begging for contributions in cash and in kind, but preferably in cash, so they can rebuild their lives---even build a makeshift shelter over their heads and gather again as a family come Christmas Eve and Christmas Day. I am making representation on behalf of the Rotary Club to solicit your contribution. I assure you that with my organization in Cagayan, your contributions will immediately reach the poorest of the poor. Pakapalan na ito but please, play Santa to these people now. God will surely acknowledge your generosity in many ways this Christmas. “The Rotary Club has opened a new bank account just for this purpose. Please deposit your contribution to Rotary Club of Cagayan de Oro, Current Account No. 7037517654 Metro Bank (MBTC). We know that there are many organizations, even church organizations that are now helping. But the work ahead is unimaginably enormous, and all hands are needed. I am mobilizing my own employees for this matter. "Merry Christmas to All- You are absolutely correct in your article. I am confused as to which way our country is heading. One of the reasons I do not have the motivation to come home is the chaotic government we have. No more civility. Our country is heading to the dogs. Again Merry Christmas and a Prosperous Happy New Year to everybody." From Remy R., a regular reader of this blog, in response to the issue of serious allegations of electoral fraud in the May 2010 elections, as raised by Filipino computer professionals, which the Comelec has ignored. I had argued that if these fraud allegations are not looked into, the elections of 2013 could just be a question largely of candidates outbidding one another for electoral victory from automated elections manipulators. Regretfully the Comelec chooses to solely focus at the moment on the 2004 and 2007 elections because it wants to nail down former President GMA for good on fraud allegations in those two elections---when the 2013 elections are only a year and a half away. In another email, Remy reacted to my tidbit here about how my friend Sally Perez, former governor of Antique, and I joined the Dec. 14 rally at the Supreme Court where Chief Justice Renato Corona spoke about his determination to lead the fight to protect the Supreme Court from threats to its independence. coming from the Executive and the Lower House of Congress. I recounted my side remark to Sally that at our age, we grandmothers should just be romping around with our adorable grandchildren, or perhaps “pa-mahjong mahjong or pa-lunch lunch na lang.” But no, there we were in the street enroute to the SC, together with lawyers, young law students and judiciary employees all dressed in black, protesting the bullet-train speed of the CJ’s impeachment---where the legislators were asked to sign the complaint without having read its articles or even raise justified queries. "I fear for the Philippines. The majority of congressmen are apparently beholden to your president. Today, I read that he plans to reclaim the Supreme Court, according to De Lima. If the senators also toe the line with him, then you will have an autocracy. I pray that it will not happen." "It is very clear that as a democracy, our government is composed of three INDEPENDENT BRANCHES-- -the Executive, the Legislative and the Judiciary. Didn't our President and his puppets study that in High School? Weird and very sad. Now I believe that " the only thing we learn from history is that we DO NOT LEARN from it" . Under threat of downpour, hundreds filled the SC Quadrangle, all dressed in black, and released black balloons into the sky to protest House high-handedness and rally in support of embattled CJ and Supreme Court; a good time to reflect on pastor Martin Niemoller’s stirring passage on pitfalls of political apathy. Last Wednesday, Dec. 14, two days after 188 members of the House shamelessly railroaded the impeachment of Chief Justice Renato Corona in one hour’s signing without questions, hundreds of the CJ’s and the Supreme Court’s sympathizers trooped to the SC Quadrangle in Padre Faura, despite the threat of a downpour, to show support for him. They all came in black attire, both the men and the women (the following Monday judiciary personnel across the country showed up in their offices this time in blazing red!). The SC rally crowd included justices (a number of Corona’s SC colleagues stood behind him as he spoke), judges, various court employees, lawyers, law students and other professionals. One could tell they were a quality, thinking crowd--- so unlike the small noisy group of demonstrators outside the SC premises, who were shouting invectives at CJ Corona and waving identical banners and placards (someone sure is spending a lot of money on these demonstrators). Before 2 pm. the SC Quadrangle was packed and the CJ, standing on the uppermost step of the SC entrance and surrounded by his wife and children, obviously drew inspiration from the crowds lustily cheering him on at every turn. Speaking in Filipino described by some media as “maanghang,” Corona vowed, in his role as primus inter pares of the SC, to defend the Court as the last bulwark against the “creeping dictatorship” of President Aquino who, he warned, now controls the executive branch and the Lower House of Congress, and has set his eyes on controlling the judiciary. 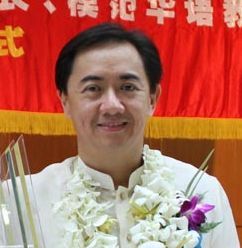 He sought to tackle the main issues leveled against him in the House impeachment complaint, stressing that his is only one vote in the Court so that he couldn’t dictate his views on his colleagues, and that on various issues he has found himself on the side of the majority and at other times with the minority. 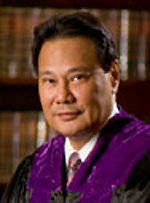 Corona obviously saw the need to defend himself from accusations of his partiality to the appointing power, former President Macapagal Arroyo, by stressing that while the Court does not lean toward anyone, it also has the mandate to protect above all the human rights of individuals against the abuses of a power-hungry administration, especially if there is yet no case against the individual. These principles operating for anyone high or low under the Constitution, CJ stressed, are the presumption of innocence and respect for human rights. As more cheers rose from the crowds on this assurance of equal justice, Corona’s reference to the undeserved blame the SC reaps from thumbing down defective cases filed by the executive department was unmistakable. A glaring case in point was President Noynoy’s Executive Order No. 1 (said to have been penned by Executive Secretary Paquito Ochoa), creating the Truth Commission last July 2010, which was challenged in the SC by House Minority Leader Edcel Lagman. The SC ruling on it was very decisive, with ten justices, including Corona, voting it down as UNCONSTITUTIONAL. The majority argued that the concept of the Truth Commission was wrong as it violated the equal protection clause of the Constitution, in singling out for investigation reports of graft and corrupt practices only in the previous administration. Significantly the ten magistrates were all GMA appointees, but so were FOUR of the five justices who DISSENTED and upheld the VALIDITY of the Truth Commission. These were the two Carpios, Justices Roberto Abad and Eduardo Nachura---ALL GMA APPOINTEES, with Nachura a staunch ally of GMA during the congressional canvassing of presidential votes in 2004, yet he voted for the Truth Commission that would have investigated cases against GMA. 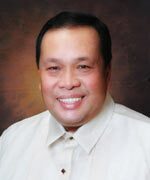 The fifth dissenter was P-Noy’s first appointee, Ma. Lourdes Sereno. Apart from stressing the CONSTITUTIONAL INFIRMITY OF this Palace concept, the Truth Commission case also shows a verity in the SC that Corona sought to stress, but which the administration seeks to malign: the independence of the magistrates. That case was a good example of how the justices would vote, at times with the majority but at times also with the minority, as their conviction moves them---regardless of whether they are GMA appointees or not. This was also recently demonstrated in the Hacienda Luisita case that ordered full distribution of its lands to its tenants, where Justice Sereno joined in the SC’s unanimous decision, with only Justice Antonio Carpio abstaining. After the singing of the National Anthem and the SC Hymn, the crowds let loose a bevy of black balloons, as though to implore the heavens for justice and protection of this final bulwark of citizens’ rights, to cheers all around. For yours truly, a veteran of street marches in the post-Ninoy assassination days, it was a case of déjà vu, and as I teased former Antique Gov. Sally Perez, who was among my constant companions in those marching days leading to the EDSA Revolution: aren’t we already a trifle too old for this sort of thing? We agreed with a big laugh that at our age now, we ought to just enjoy romping around with our grandchildren and “pa-mahjong-mahjong or pa-lunch lunch na lang;” but there we were with the young law students, rallying in defense of the High Court and the rule of law. We couldn't help but show up to support the SC. As various people’s organizations, columnists and commentators from various media and even some bishops (such as the outspoken Bishop Ramon Arguelles of Batangas) have come out in defense of the SC and the Rule of Law, I am reminded of that stirring quotation attributed to German pastor Martin Neimoller (1892-1984). Neimoller's quote has often been used up to contemporary times as a popular model for describing the dangers of political apathy. As a source put it, the danger from this malaise “often begins with specific and targeted fear and hatred, which soon escalates out of control.” Does that sound familiar? “Then they came for the trade unionists, and I didn’t speak out because I wasn’t a trade unionist. “Then they came for the Jews, and I didn’t speak out because I wasn’t a Jew. Indeed the time to speak out in defense of the Constitution and the Rule of Law is NOW, as the senators contemplate during this Christmas season their role in the Senate impeachment trial that will commence on Jan. 16, 2012. Let them know how strongly we citizens condemn the assault on the SC's independence and the disregard for the Constitution. Tupas talks about impeaching other SC justices, as reprisals are already felt by those who didn’t sign Corona impeachment complaint, such as Batangas LP Rep. Hermilando Mandanas. Bernas cites “chilling effect” on justices and judges. Last Monday, Dec. 12, the Feast of Our Lady of Guadalupe, patroness of the Philippines, House Speaker Feliciano Belmonte called a multi-party caucus at 3 pm. Various members thought it was going to be a fresh push for the RH bill as hinted by the Palace earlier, but it turned out to be the Corona Impeachment Express chug-chugging out of the station. The Speaker went direct to the point and said that “We are going to talk about impeachment this afternoon,” and his lieutenants, notably Majority Leader Neptali Gonzalez Jr. and Iloilo Rep. Neil Tupas, chair of the House Justice committee, went to work. Several hands went up to ask questions, among them LP Representatives Rodolfo Biazon and Hermilando Mandanas who said they wanted to look at the complaint first. Like these two LP stalwarts, Deputy Speaker Jesus Crispin Remulla of Cavite, a member of the Nationalist People's Coalition, also withheld signature as he wanted to read it first, “as any lawyer would.” But alas, the Impeachment Express was rushing---no time for queries. All in all it took only a little over an hour for 188 solons to sign the complaint and at this time of writing, the signatories have already exceeded 190. House Minority Leader Edcel Lagman, ever creative in opposing tyrannical moves of the majority, noted that if every solon were to read the impeachment complaint with understanding, it would take him or her 31 hours to finish. Lagman said this was the only way to intelligently arrive at a decision to sign or not to sign---but those were not moments for intelligence. 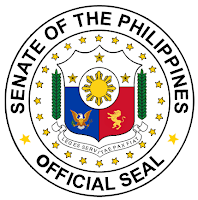 In the Senate that afternoon, the reaction among the senators, who will sit as judges of the Senate impeachment court, was one of disbelief and incredulity that something as grave and serious as impeaching the fifth highest official of the land and head of the co-equal judiciary could be accomplished in just a little over an hour. Some senators thought at first that it was a practical joke. 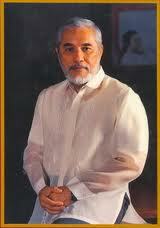 Indeed the nation is stunned at the “blitzkrieg fashion” with which the Corona impeachment was handled. To the House members, the issue was laid out plain and simple: If the legislator signs, that means he or she IS WITH P-Noy; if not, then he or she is not with P-Noy. As they put it in that chamber, "somos o no somos." The bullet-train speed with which 188 legislators signed the complaint that’s packed with such grave import to the nation’s life recalls what the late Speaker Ramon Mitra once said half in jest---that House solons would sign anything, even a piece of toilet paper, thrust under their noses. The undeniable fact is that it was a stunning manifestation of near-total obeisance to Malacanang's occupant, who was orchestrating the impeachment move since last weekend. Yesterday noon a joyous P-Noy celebrated victory with his House allies at a lunch at the Edsa Shangri-la and that should have stopped there. But no, the President, in the presence of House leaders and his key Cabinet people like Mar Roxas and Butch Abad, continued to harangue Corona and the SC in his off-the-cuff talk there, when the statesmanlike gesture would have been to just shut up and let the House process roll. former Gov. Neil Tupas Sr. Neither do his House allies know when to stop and just relish their victory. House Justice Committee Chair Neil Tupas (whose father, the former Iloilo Gov. Neil Tupas, Sr., had been suspended by former Ombudsman Mercy Gutierrez for graft, which explains the Junior’s vociferousness towards her earlier this year), was quoted on TV as saying they are seriously studying filing impeachment complaints too against some other SC justices. Talk is that two more justices will be impeached. But if the House is planning to impeach the seven other magistrates who voted with CJ Corona to grant a TRO for GMA to leave last Nov. 15 (it was an 8 vs.5 vote for TRO), I suggest they should not exclude one other justice. This was the magistrate who, during the second voting by the SC last Nov. 18 to emphasize the TRO’s CONTINUING EFFECTIVITY, forsook the minority of five and allied with the Corona-led majority, so that the second TRO vote became even bigger, 9 vs. 4. This magistrate might not want to be left out of the historic impeachment action! Failing to sign the Corona impeachment complaint, however, comes at great cost and sacrifice for some solons this early. Last night Batangas three-termer Rep. Mandanas, who has been fighting for the IRA that rightfully belongs to LGUs under the Constitution and the Local Government Code, was told by Speaker Belmonte that he'd be stripped tonight of his chairmanship of the Ways and Means Committee, acknowledged as the second most powerful after Appropriations, for not voting yes to impeachment. Last night too neophyte Rep. Toby Tiangco, former mayor of Navotas and also an LP, took the floor to protest the ramming through by the leadership of the complaint, without giving each House member an opportunity to study it. Toby then announced that he was giving up his chairmanship of the Metro Manila Development Committee (inunahan na niya bago pa alisin sa kanya---he was replaced by San Juan Rep. JV Ejercito, a complaint signatory). Toby also declared himself politically independent. What will happen to Rep. Biazon? Will he be stripped of his defense committee or his son, Ruffy Biazon, be yanked out from his post as BIR Chief? ? Will Deputy Speaker Boying Remulla be removed from his post? The Integrated Bar of the Philippines issued a statement yesterday signed by its president, Roan Libarios, himself a former representative from Eastern Mindanao, and key IBP officials from the different regions, and published in a major newspaper. The IBP statement stressed that while it's supportive of President Aquino’s reformist agenda, it condemns the legislature’s failure to observe due process that undermines the INDEPENDENCE of the Supreme Court and imperils the rule of law. The IBP called on all law practitioners to defend the judiciary and the Constitution from current attacks on their integrity. Right you are, Roan. More power to the IBP. Fr. Joaquin Bernas was queried last night by Jessica Soho on GMA-7 about what possible effects the impeachment complaint against CJ Corona and Justice Mariano del Castillo earlier (on the plagiarism count) would have on the SC and the judiciary as a whole. Bernas first stressed that it’s not just Corona that the House is targeting, but the SC as a whole because the impeachment complaint raised issues against its very decisions. Bernas stressed that therefore, it’s the SC that’s really on trial and this would have a CHILLING EFFECT not just on its members but on the ENTIRE JUDICIARY. He hoped that the impeachment of their SC colleagues wouldn’t prevent the justices and judges from making decisions BASED ON THE LAW AND NOT OUT OF FEAR OF REPRISALS. Fr. Bernas is absolutely correct. Let’s pray for all our justices and judges at this time of grave peril to the Constitution and the Rule of Law.